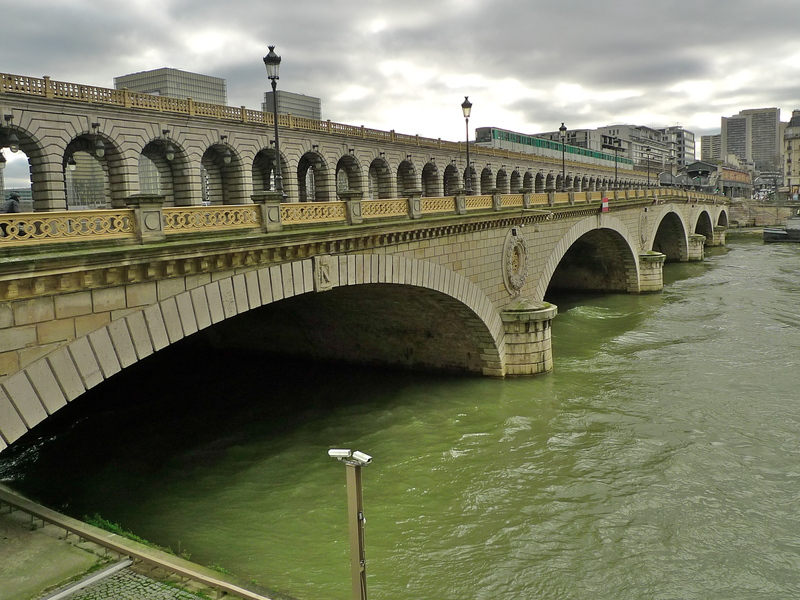 THE PONT DE BERCY is the fourth of the thirty-five named bridges that cross la Seine within the Paris city limits if you start counting from where la Seine enters Paris at its upstream end in the south east of the city. The other day I went to explore the Pont de Bercy as part of the research for my Paris Bridges project, which you can find out more about here. 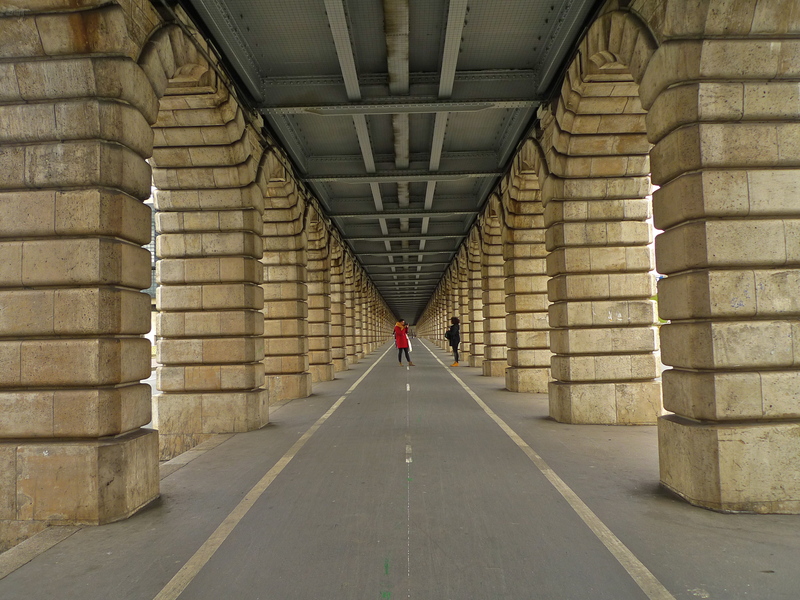 The Pont de Bercy is an interesting bridge that now seems to have found itself on the Parisian tourist trail. It’s quite common to see tourists exploring the bridge with cameras in hand … and with good reason. After six months of construction work the original Pont de Bercy, then outside the Paris city limits, was opened in 1832. It was built by the engineers Ferdinand Jean Bayard de la Vingtrie and Marie Fortuné de Verges of the Bayard de la Vingtrie & de Verges Company. It was a suspension bridge 133 metres long with a central span of 44 metres and two side spans of 45 metres each and it was also a toll bridge that could only be crossed by paying a tax – one centime per pedestrian, three centimes for two-wheeled vehicles and five centimes for four wheelers. 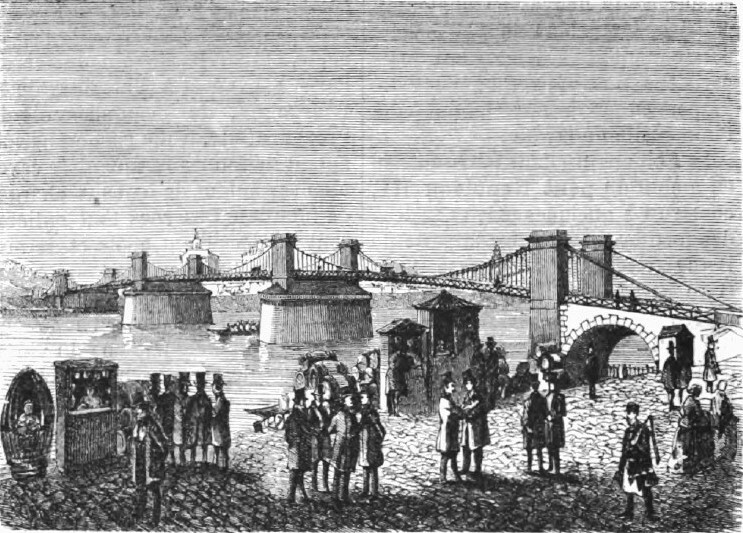 The amount of traffic this suspension bridge could carry was limited by its structure, which soon proved to be inadequate. 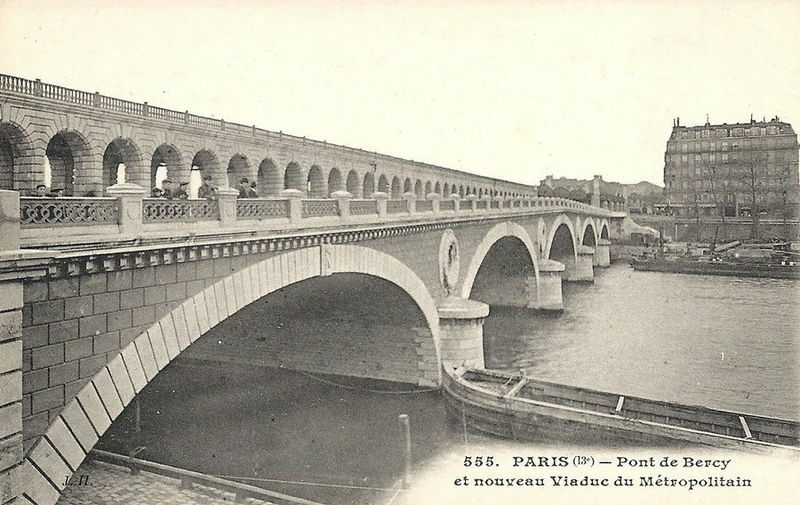 In 1861 the bridge and the area around it were incorporated into the city of Paris and it was decided to demolish the original bridge and replace it with a stronger structure. Responsibility for this new bridge fell to Edmond Jules Feline-Romany, ingénieur municipal et chef de service de la Seine dans Paris (municipal engineer and head of department of the Seine in Paris) and his deputy Paul-Emile Vaudrey. Construction began in 1863 and the bridge was completed in 1864. This new bridge was made of stone, it was 175 meters long and 20 meters wide and it comprised five elliptical arches each 29 metres wide. But Paris wasn’t finished with this new bridge. 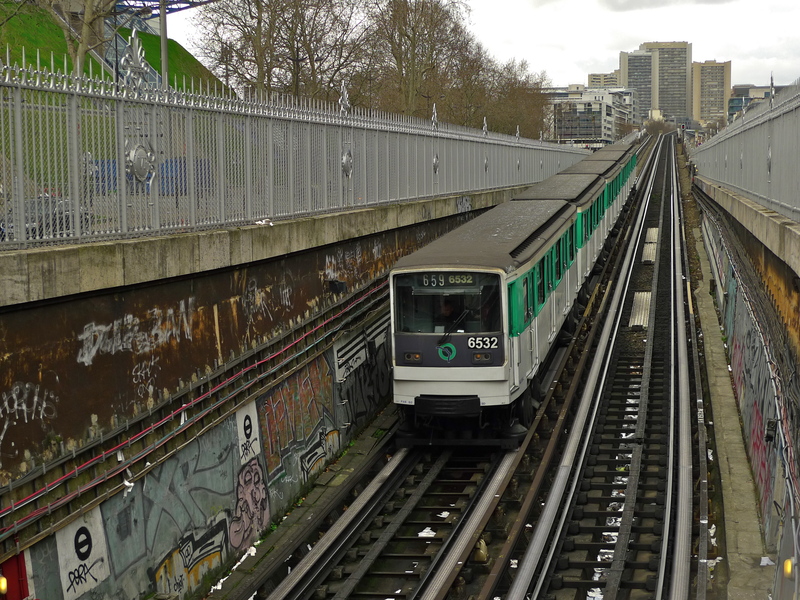 In 1904 the French engineer Jean Résal was engaged to widen it by 5.5 metres to accommodate Métro Line 6, the semi-circular Métro route around the southern half of the city, which was to be extended to its present day terminus at Nation. Because this part of the Métro line was (and still is) an elevated section the work involved building a viaduct with forty-one semi-circular arches to accommodate the track. 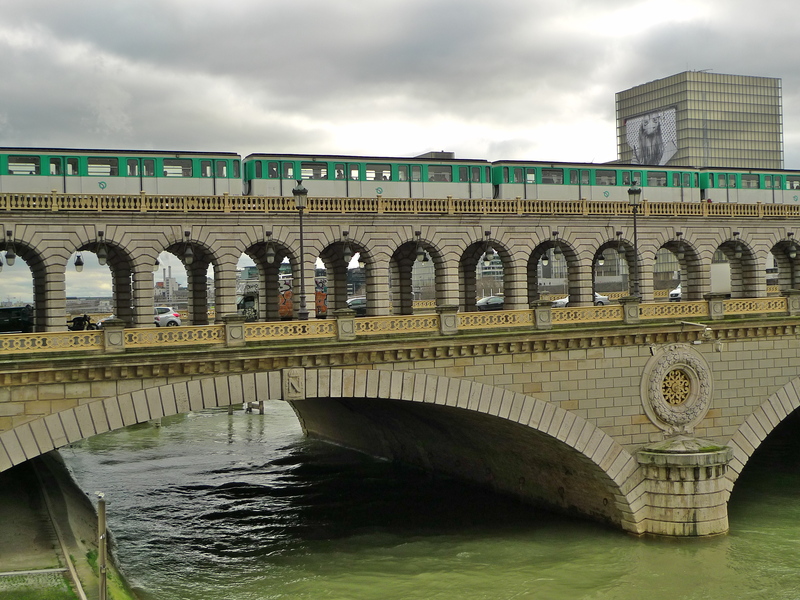 The work was completed in 1909 and Métro Line 6 began to use the viaduct the same year. 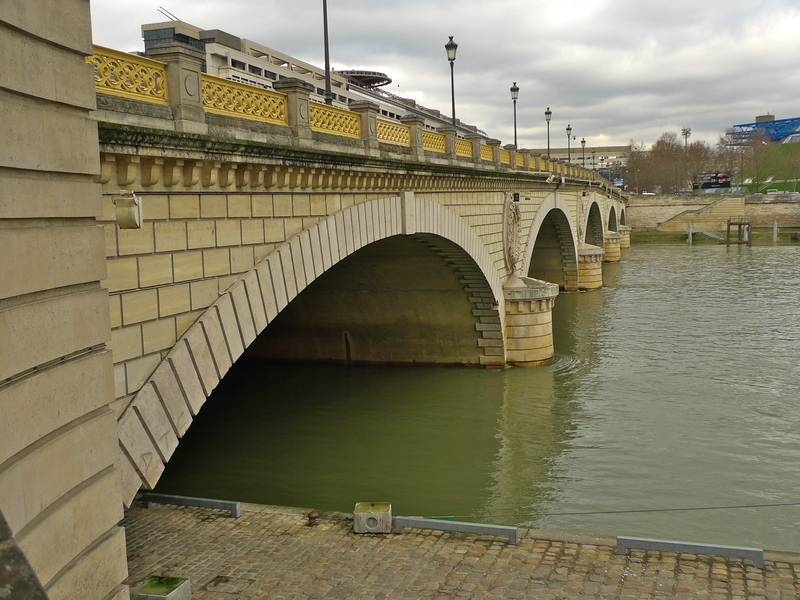 It wasn’t until 1986 that further structural work was carried out on the Pont de Bercy. 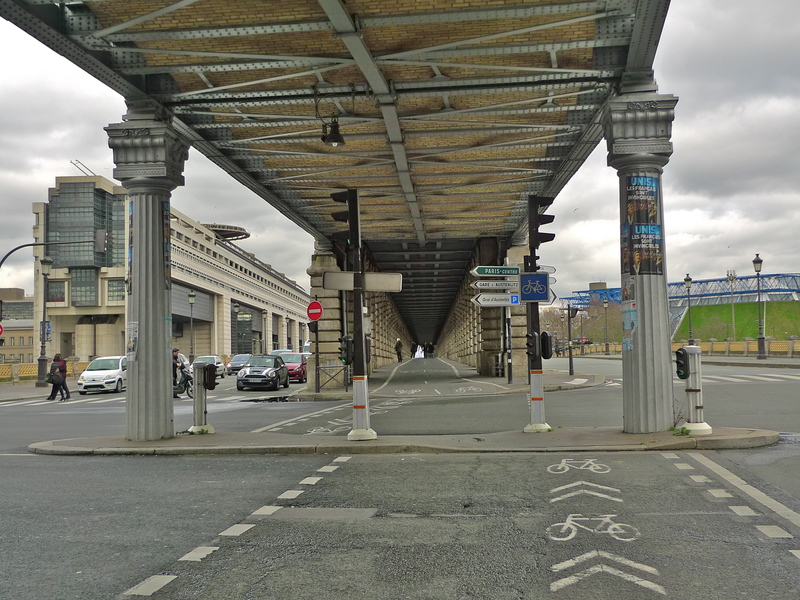 By then the flow of traffic had increased to the point where the bridge couldn’t cope and so, on the 20th January 1986, the Paris City Council agreed to double the width of the bridge. Work began in 1989 under the direction of the engineer Jacques Monthioux. His task was to increase the width of the bridge to forty metres while at the same time making the extension structurally identical in appearance to the existing bridge with the new piers exactly aligned with the old ones and the underside and tympana of the extension mirroring those on the existing bridge. 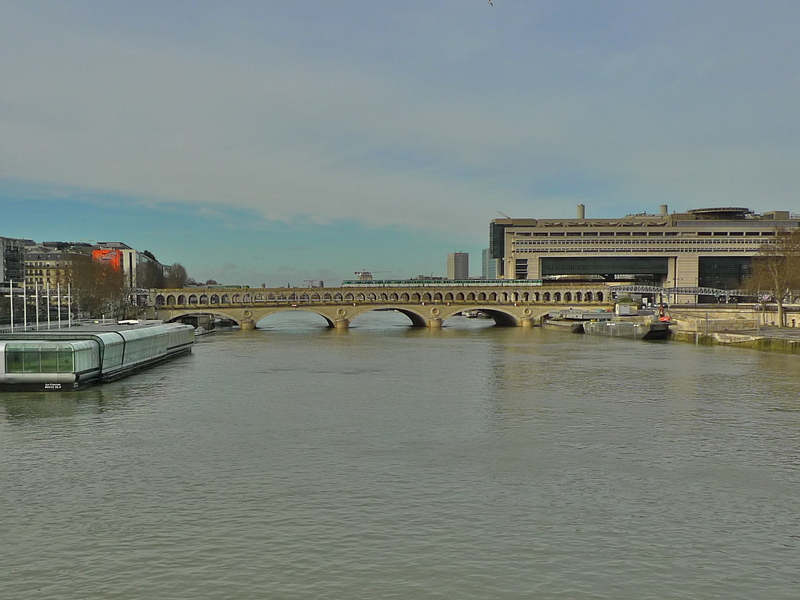 The new, widened, Pont de Bercy was finally opened in 1992 and it’s the bridge that we see today. And the upstream side is the extension, which despite its appearance, is not made of stone but of reinforced concrete. It does though have a genuine stone facing. 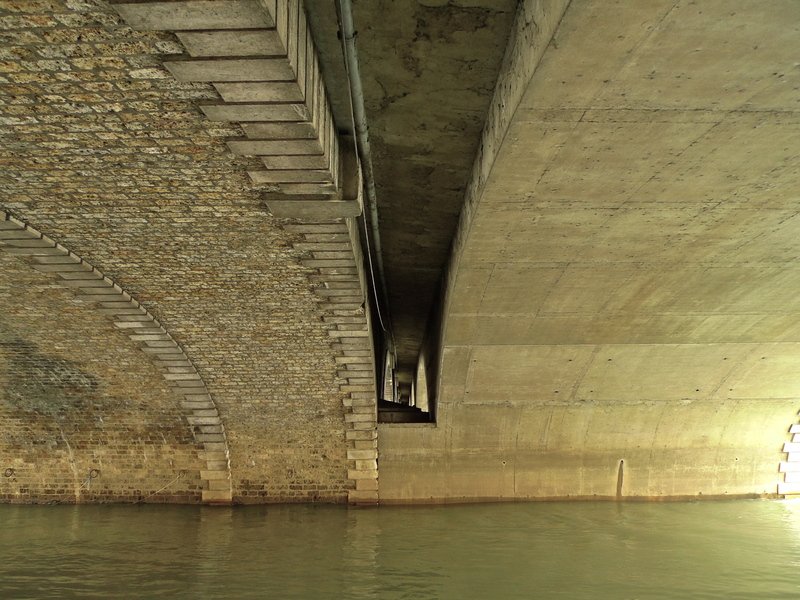 The work that I’m doing with my Paris Bridges project involves not only exploring the history of each of the bridges that cross la Seine within the Paris city limits but also trying to identify and capture the characteristic sounds of each bridge. 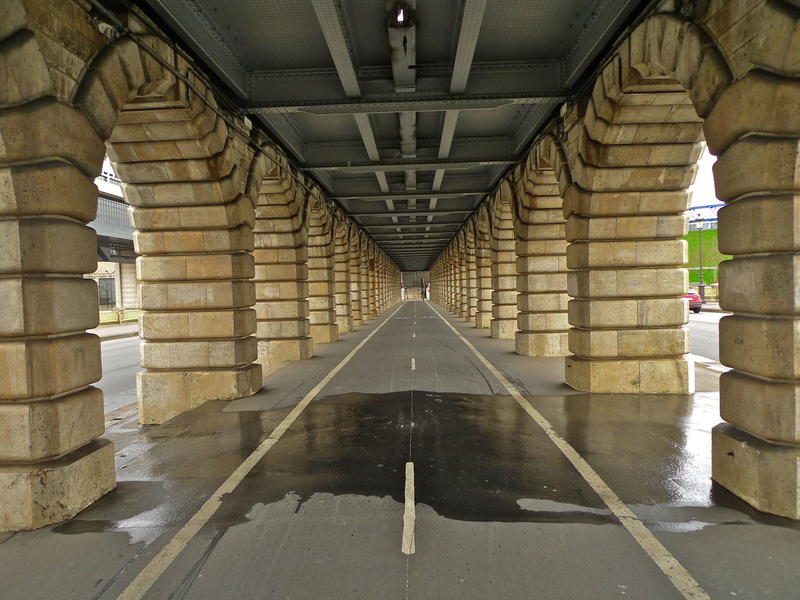 For anyone visiting the Pont de Bercy for the first time it’s the magnificent viaduct with its forty-one arches carrying Métro Line 6 across la Seine that is the dominating feature. My research has shown that bridges like this can have several characteristic sounds depending upon where you are listening from but if the viaduct is the dominating visual feature of the Pont de Bercy, then the sounds of the Métro passing across it must be at least one of the characteristic sounds of the bridge. 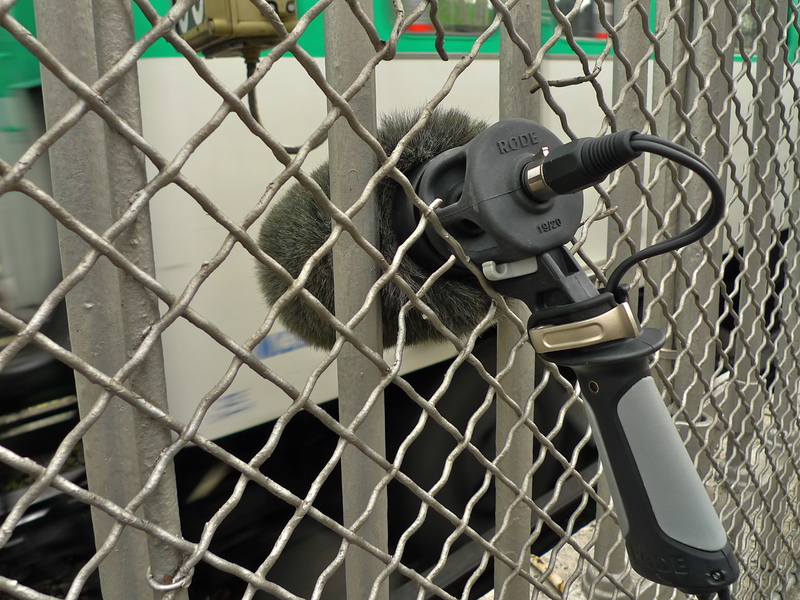 So listening to and then recording the sounds of the Métro seemed like a good place to start. I arrived at the Pont de Bercy at the nearest Métro station, Quai de la Gare, which is one of Fulgence Bienvenüe’s stations aériennes and from the platform I had an excellent view of the route of Métro Line 6 over the bridge. To set the scene, I recorded the sounds of trains coming in and out of the station having just passed, or about to pass over the viaduct. Although these sounds are themselves interesting they only reflect the sounds of the approach to the bridge rather than the sounds of the Métro actually on the bridge. 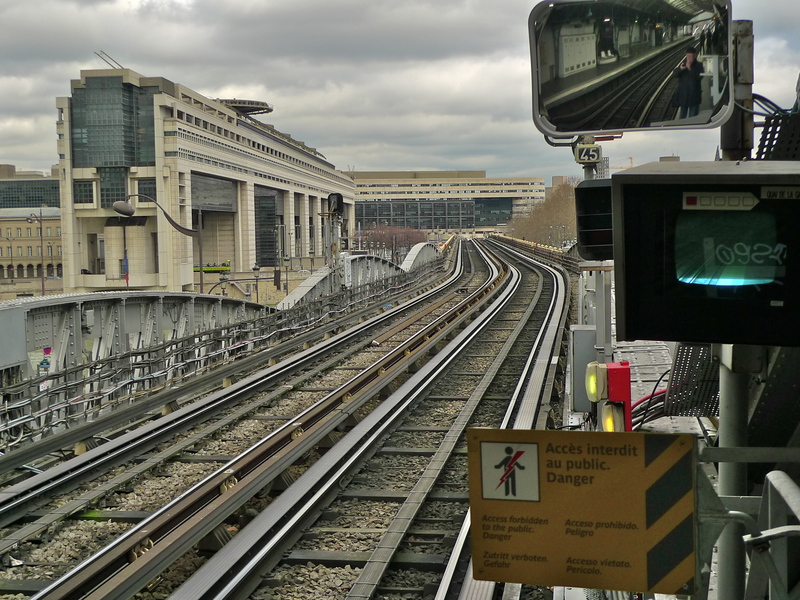 I thought that one way to capture the sounds of the Métro on the bridge would be to take a ride across the viaduct and listen to the sounds from inside a Métro train. So, when the next train arrived, I hopped on and made the short journey from Quai de la Gare to the next station, Bercy. Of course, I could also record, and in fact did record, the sounds of the Métro crossing the bridge from street level but I wanted to capture something a bit extra, something that better reflected the sounds that are there but the sounds that are usually hidden from all but the most attentive listener. It’s clear from the pictures above that any attempt to get onto the line to record the sound of the Métro as it crossed the bridge would at best result in my immediate arrest or, at worst, something far more unpleasant. An alternative plan of action was called for. Ever mindful of the great photographer, Robert Capa’s dictum: “If your pictures aren’t good enough you’re not close enough”, I began to investigate how, if I couldn’t actually get onto the line, I might at least get as close as possible. And, as always, if there’s a will, there’s a way! Métro Line 6 leaves the Quai de la Gare station, crosses the viaduct and then descends underground before curving to the right and entering the next station, Bercy. By climbing onto a narrow ledge of the wall that separates the viaduct from the street as the Métro line begins its descent underground towards Bercy station, I was able to clamber up the ledge and by pushing my microphone through a convenient hole in the fence (I didn’t make the hole, it was already there!) I was able to capture the sounds of the trains on the slope of the viaduct. The trains passing from the left were going up the slope and those from the right were coming down. I think this recording is probably unique. I can’t think of any other place on the Paris Métro system where it’s possible to get so close to the Métro trains other than inside a station. Had I been able to put my hand through the fence I would have been able to touch the trains closest to me coming from the left. I recorded these sounds on a Saturday afternoon while the bean counters at the Ministère de l’Economie et des Finances across the street were away from their offices enjoying their weekend. Had it been a normal working day I’m sure that one of them at least would have seen me and become very suspicious about a man climbing up a wall aiming a pointy thing at a Métro train! So, having established that the sounds of the Métro crossing the viaduct are one of the characteristic sounds of the Pont de Bercy, does the bridge have any other characteristic sounds? I went under the viaduct to explore. The Pont de Bercy viaduct sits on top of the bridge. On either side three lanes of traffic pass in both directions and beyond the traffic each side of the bridge carries a footpath. Beyond the bridge, the Ministère de l’Economie et des Finances sits on one side and the Palais Omnisports de Paris-Bercy, a giant indoor sports arena and concert hall, sits on the other. 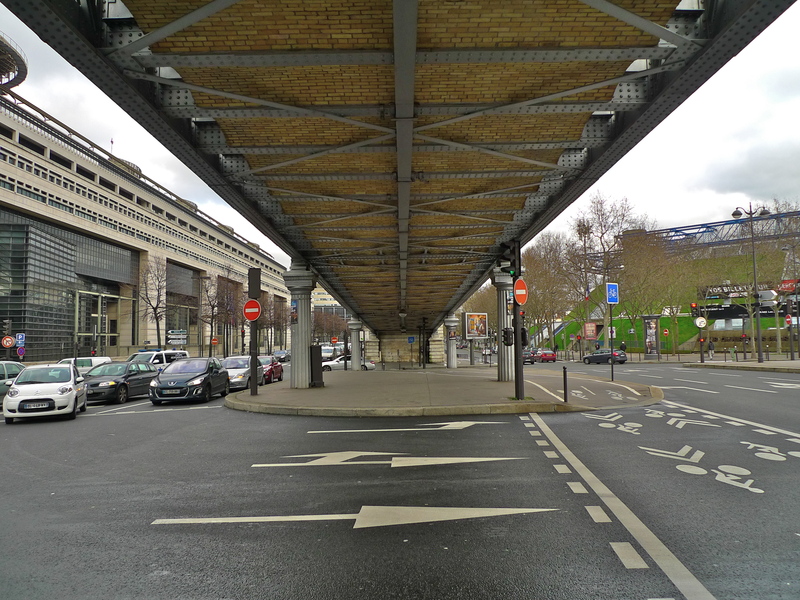 With its forty-one stone arches along each side and the Métro track above forming a roof the view under the Pont de Bercy viaduct at street level is quite impressive. A large puddle stretching across the two cycle lanes that run the full length of the viaduct. Right in the centre of the puddle water was dripping down from the Métro line above. This seemed to be the perfect place from which to record the sounds on the bridge. I rather like the sound of the dripping water set as it is against the general hubbub of everything else that’s going on especially since tomorrow it most probably will have disappeared forever. Towards the end of this sound piece you will have heard the sound of car horns and I will return to that in a moment but first, let’s explore the sounds under the bridge. 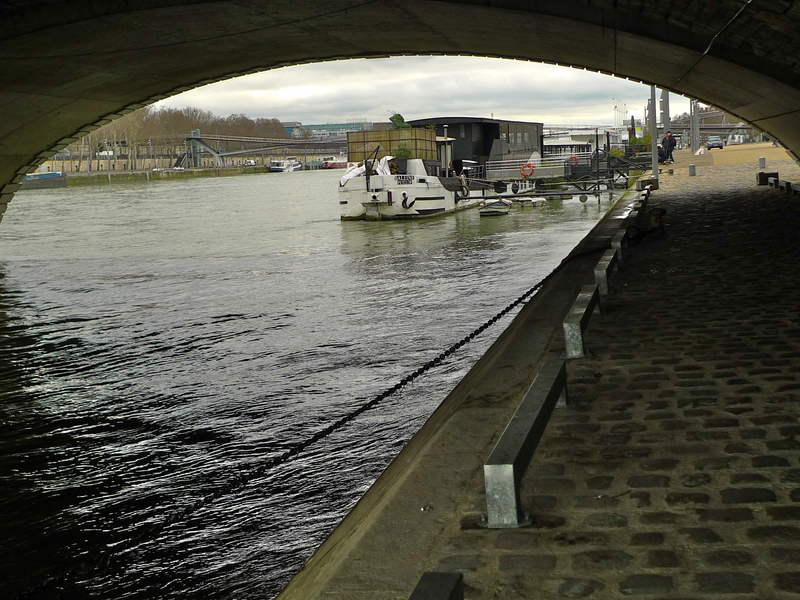 A set of stone steps leads down from the footpath on the Pont de Bercy to the Quai de la Gare and the first stone arch of the bridge at its south-westerly end. I went down to see what sounds I could find. At first the sounds were pretty much as I’d expected, the sound of water lapping against the arch, the hum of a police boat disappearing into the distance, the sound of a jogger passing by and the buzz of the traffic on the bridge overhead. But then my ear was drawn to another sound. Moving to the edge of the arch on the upstream side I heard the sonorous tone of a boat straining at its moorings. I love sounds like this, it almost seemed as though boat was speaking directly to me. 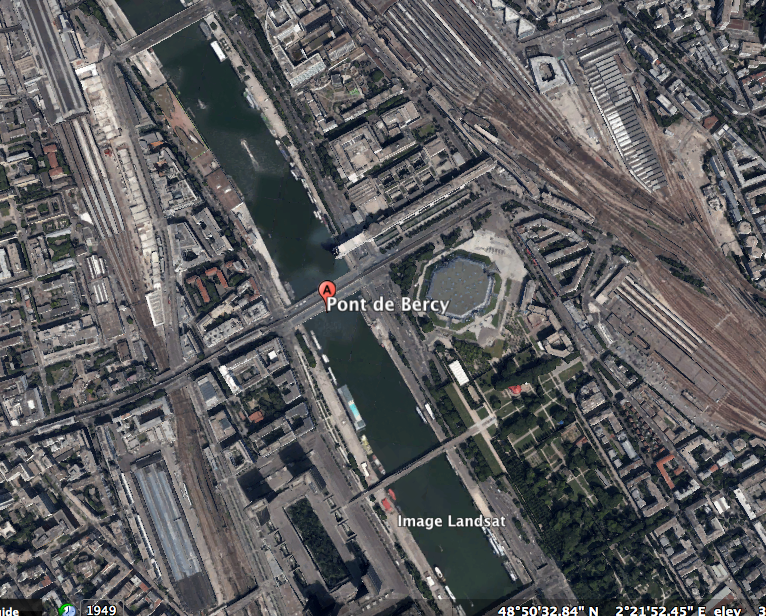 And then a bonus, the sound of a Métro train passing over the Pont de Bercy viaduct way above me. 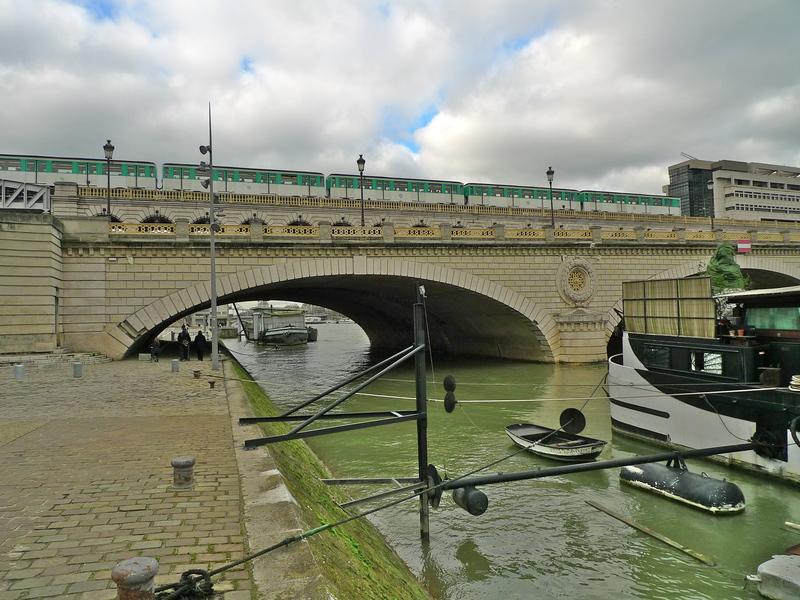 Since I’d begun my exploration of the Pont de Bercy by recording the sounds of the Métro it seemed fitting to end with the same sounds but from yet another perspective. And finally, back to those car horns. What were they all about? I was just finishing recording the sounds on the Pont de Bercy under the viaduct when I heard the sound of the car horns. It’s common practice in France, as in many other countries, for motorists to sound their car horns at the sight of a newly married couple and, when I turned round, there they were straight from the church having their photograph taken under the viaduct. A rather nice way to my end my exploration of the Pont de Bercy and its sounds I thought.